Anybody walk past Omen on Thursday? If so you might have caught the show. "I totally saw him on his cell phone outside Omen today. He was pacing and having a meltdown. He was yelling that he had three shows today and two tomorrow and that ONLY ONE person should be managing his schedule 'until this blip passes.' His eyes were darting around like crazy. I'd bet he was being dramatic and hoping someone would recognize him from TMZ. Anyway, klassy." Well, judging from his decision to contact TMZ, rumors that he's been pitching a witchy reality show featuring himself, constant diatribes in and about the Salem News, whoring himself out to Ghost Adventures, and rumors about him getting slapped in court for harassing a store owner, we'd say that Christian's flair for the dramatic has never been stronger, and his hunger for attention has never been more consuming. 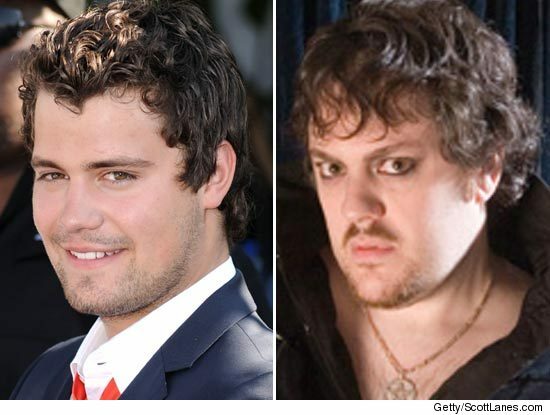 If you missed it, after the original TMZ piece, they pointed out Christian's resemblance to Bristol Palin's baby daddy, Levi Johnston. While there IS some resemblance, we think that the closer match is MTV darling Bam Margera. UPDATE: http://cheezburger.com/View/4521635328 He posted this on Facebook himself. Nuff said.